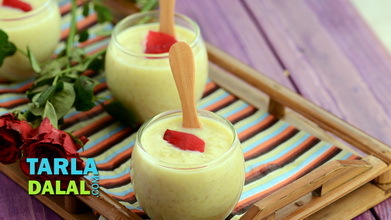 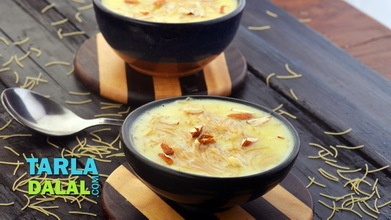 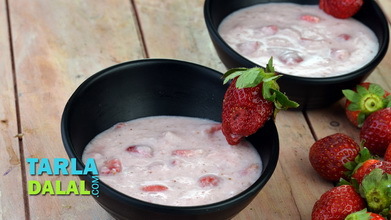 Contrary to the general notion that desserts, especially traditional ones, take a long time to prepare, here is how you can prepare rich and tasteful rice kheer in minutes! 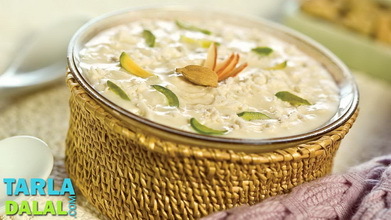 condensed milk and a dash of spices impart an intense flavour to this quick rice kheer despite the fact that the milk is not simmered for a long time. 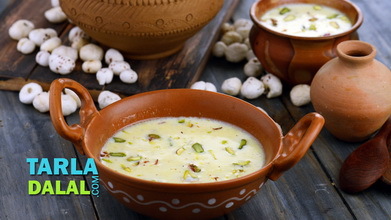 If you have cooked rice and other ingredients on hand, you can prepare this kheer within minutes, to serve with delicious fresh puris. 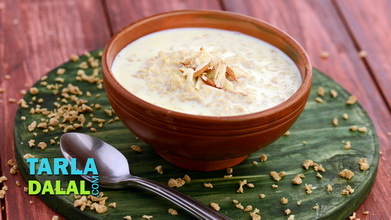 Heat the milk in a broad non-stick pan, add the rice, mix well with help of a whisk. 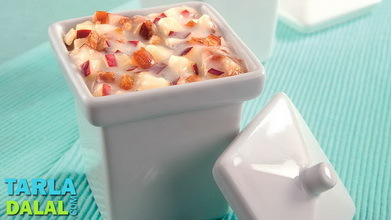 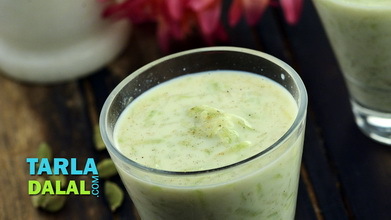 Add the condensed milk and cardamom powder, mix well and cook on a medium flame for 2 to 3 minutes, while stirring occasionally. 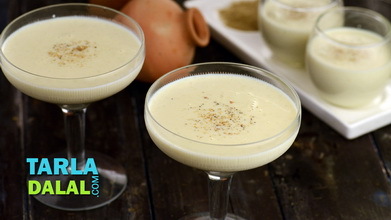 Garnish with nutmeg powder and cardamom powder and serve warm with puris.